Harry, Ron, and Draco! 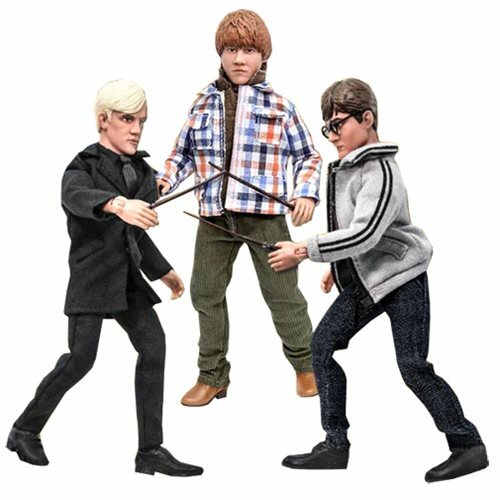 Bring home real magic with the Harry Potter 8-Inch Retro Action Figures Series 1! This case features three of Hogwarts' finest in awesome costumes inspired by the movies. You'll enjoy 8-inch action figures with real cloth outfits and authentic accessories straight out of Diagon Alley. Ages 8 and up. School your collection with this magical set of awesome articulated action figures!